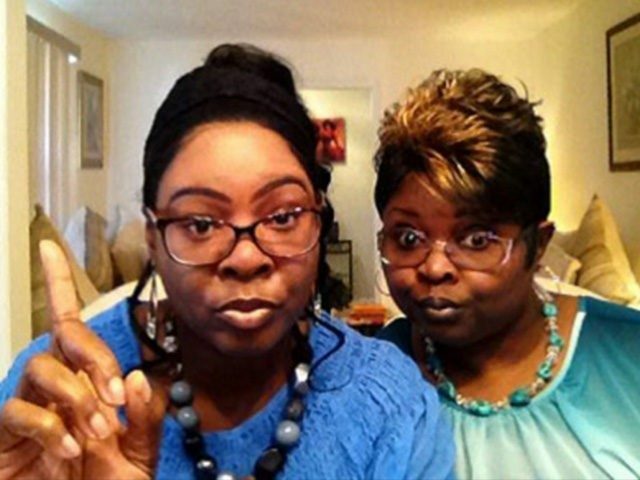 Popular pro-Trump internet duo Diamond and Silk will testify before the House Judiciary Committee over growing concerns that social media companies such as Facebook are routinely censoring and suppressing conservative content. Rep. Marsha Blackburn (R-TN), a leading voice on social media censorship who grilled Facebook CEO Mark Zuckerberg on the issue last week, will also testify before the committee. Rep. Blackburn recently received President Trump’s endorsement in her bid to become Senator from Tennessee. Representatives from companies such as Facebook, Google, and Twitter were also invited, although it is unclear whether they will attend. “This hearing will focus on what metrics social media platforms use to moderate content, how filtering decisions are made, and whether viewpoints have been silenced on some of the most popular and widely used platforms,” a press release reads. The women, who rose to fame in the run-up to 2016 presidential by posting humorous endorsements of Donald Trump, recently accused Facebook of deeming their content and videos “unsafe to the community,” a charge that Facebook CEO Mark Zuckerberg later claimed was merely an “enforcement error” that his staff would rectify. Testifying before the Senate Judiciary and Commerce Committees last week, Zuckerberg argued that Facebook was a “platform for all ideas” and that it was not inherently biased against conservative content. However, he also maintained that the platform would never knowingly allow “hate speech,” but failed to define the term. “The advent of social media has made it possible for people to connect across continents, explore vast amounts of information, and share meaningful dialogue with friends and strangers,” House Judiciary Committee Chairman Bob Goodlatte (R-VA) said in a statement before the hearing.